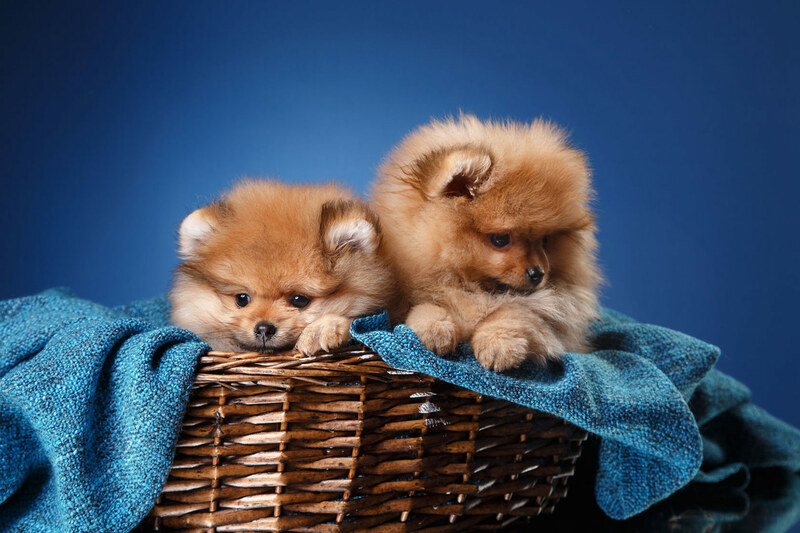 Miniature puff balls of joy, Pomeranians are boisterous, sweet and super fluffy. These bite-sized pets are extremely lovable and if you’re looking for a cuddly companion to take care of, these gorgeous little pom-pups could be just the ticket. However, like all dog breeds, there are lots of things to consider before deciding whether these tiny bundles with big personalities are right for you. Also known as Pom Poms and Tumbleweeds, Pomeranians were originally much larger working dogs hailing from Pomerania – a region in Germany and Poland. A descendant of the Spitz breed, Pomeranians keep themselves warm using their luscious, thick coat. The smaller version we know today was bred and popularised by Queen Victoria who adored her tiniest Pomeranian “Windsor's Marco” who weighed in at only 12lbs. After the Queen was seen with little Marco, dog owners everywhere started to fall in love with toy-sized Pomeranians and during Victoria’s lifetime, the size of the breed was said to have gone down by around 50%. Today Pomeranians and all their variations are seen regularly – pawing at owners, popping up out of handbags and of course, on social media all over the world. So what makes Poms so popular? If you’re already thinking about heading out to buy 10, take a second to read our blog so you can make sure these loveable armfuls of fluff are right for you. Is a Pomeranian right for me? Poms make up for their small, sweet stature with big, boisterous personalities. Extremely loveable, they do like to rule the roost. Without good training from the beginning, they can sometimes be difficult to control, slightly mischievous and will do what it takes to get the attention they crave. However, because they are loyal and loving, Pomeranians are great for those who can afford their dogs a lot of attention. So they’re perfect for seniors and those who spend a lot of time at home. They are very friendly and love to play. Curious dogs, they are alert and interested in everything that is going on. They also make great guard dogs as they will bark at almost anyone who walks by. Most Poms are happy living with other pets however, because of their tiny, delicate frame, they are not well-suited to young children. Their thick, fluffy coats are a dream to snuggle up to, but their luscious fur does have a slight drawback in that it needs regular brushing and combing. Hair might also be an issue around the home so if you suffer from allergies or aren’t able to hoover regularly, this might not be the right breed for you. Poms are petite so they can happily live in smaller environments such as flats, without too much trouble. They need walking at least once a day and they’re energetic dogs who like to run around! Giving them a chance to run around in the garden is also a good idea. Pomeranians are also intelligent dogs and it’s important to keep their minds active to make sure they don’t get bored or stressed. This can easily be done with regular playtime and agility equipment to help keep them engaged and interested. Poms love attention and they love to bond so training can be extremely rewarding. It’s also a great excuse to get to know your pup and what works well with them. Food is always a great motivational tool, as are gentle cuddles and praise. Cute as they may be however, Poms can be rather rambunctious! So be prepared for excessive barking and general unruliness if training is not done consistently and from an early start. Like most dogs, they can be wary of other dogs and strangers, making socialisation an essential part of the training process. 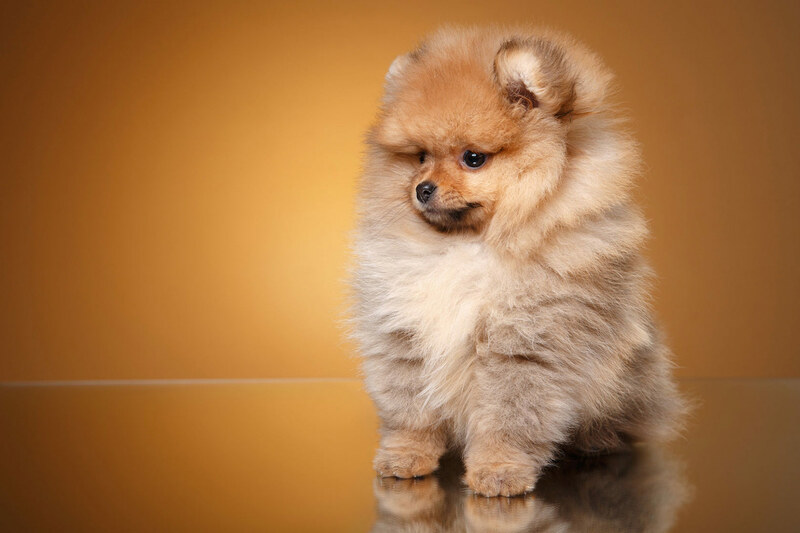 As much as having a small dog might seem good for young children, Poms are not suited for those with babies or toddlers. Their need for great care regarding their fragility – Pomeranians can die from being accidently stepped or sat on – as well as understanding and respect for their own personal boundaries, requires those around them to be understanding of their needs. Their want for attention may also make them feel resentful towards those who steal it away from them, such as young children, which can also cause them to bite. 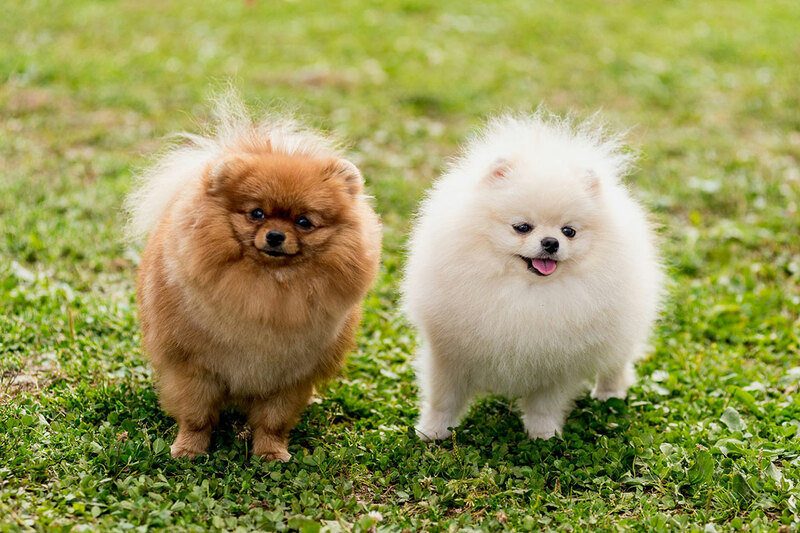 Pomeranians have lots of energy so even though they don’t need that much to keep them going, their meals should be high-quality and consist of plenty of protein. With an average height of 20cm, they may also find bending their short necks down to eat quite difficult. A raised dog bowl is a worthwhile investment with a small breed. Pomeranians tend to live on average between 12 and 16 years. Like many dogs, they have a few common health issues such as skin and knee problems, but overall, they tend to be pretty healthy. It’s often the case however that issues don’t manifest themselves until the dog is a little older, which makes them difficult to avoid. Even if they have been part of a breeding programme, it can be almost impossible to predict what – if any – health problems your Pom will have. Are Pomeranians right for you? Loveable, spritely and attentive, these fluffy bundles of fuzz and vivacity make fantastic pets. Their long lifespan means they will quite easily become long-standing members of the family. They adore walkies, playtime, agility training and having the opportunity to bond with you. They are quite demanding in terms of time and you will need to brush them regularly to keep their coat in tip top condition. Training needs to be consistent right from the start, and barking can be an issue. Pomeranians have got a “top dog” mentality so many owners find themselves wrestling for dominance with these plucky, proud creatures. However, Pomeranians are beautiful, engaging and have ample amounts of personality making them great companions and friends for life.